LAGOS—Ahead of November 6 nationwide strike to compel government to peg a new minimum wage at N30,000, organized labour will tomorrow hold mass protest across the country as part of sensitization of workers and Nigerians for the planned industrial action. This came as organized labour urged workers not to be deterred by the government’s threat of “no work, no pay” as strike had always complied with legal requirements. Already, leaders of Nigeria Labour Congress, NLC, Trade Union Congress of Nigeria, TUC and United Labour Congress of Nigeria, TUC, have begun massive mobilisation of members nationwide and their civil society allies, ahead of not only tomorrow’s protest, but also for the nationwide strike on November 6. 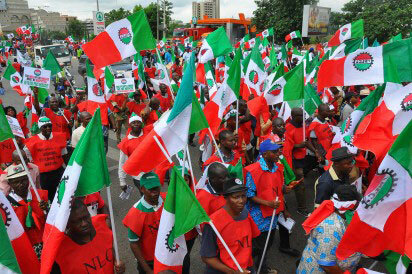 In a circular to its affiliates and state’s councils across the country, ULC, through its Deputy General Secretary, Chris Oyeka, said: “This is to inform you that sequel to the several consultations among the leadership of organised labour in Nigeria over the apparent decision of the federal Government to sabotage the National Minimum Wage Negotiation; the following decisions were taken that there shall be a national day of outrage and mourning by Nigerian, workers all over the nation. Tuesday, October 30, 2018, has been chosen for that action. “All state councils are, therefore, to collaborate with the other two labour Centres (NLC and TUC) in their respective states to make this day a success. It is a day set aside to show our indignation and anger over the way workers have been treated in Nigeria and to mourn the death of truth, transparency and good governance in Nigeria. ‘’We shall also sensitize Nigerians on our plight as workers and citizens and the need for national resistance. 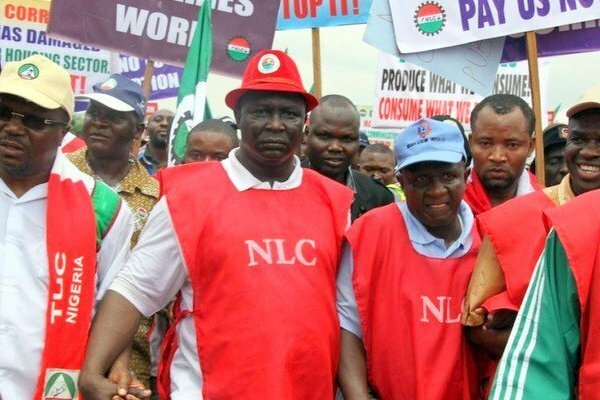 On its part, NLC, while urging workers to prepare for indefinite strike from November 6 over a new minimum wage, told them not to be deterred by government’s threat of “no work, no pay” as strike has always complied with legal requirements and will always comply with those requirements. In a release by President of NLC and the General Secretary, Ayuba Wabba, and Dr. Peter Ozo-Eson, the NLC urged members nationwide to fully mobilize and comply with resolutions of National Executive Council, NEC, meeting of Tuesday 23. 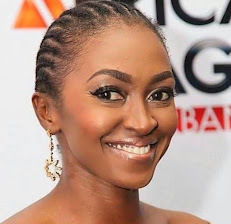 “Government’s designs to influence the tenure of union executives and membership of unions’ negotiating teams, constitute a direct interference in the internal affairs of the unions in direct contravention of the Articles 3, 4 and 8 of ILO Convention 87 (to which Nigeria is a signatory since 1960).